I offer this reflection in honor of Earth Day that took place last week. Our Mother Earth is in stress. We "first world-ers" are the biggest consumers and polluters on the planet, and we inhabit spaces in our everyday lives characterized by utter silence or lack of recognition of these things. Sure, there are scientists, technocrats, and policymakers working in search of discrete policy solutions, but when this impending crisis of colossal proportions is upon us, every single person on the planet has a stake in—and indeed, responsibility toward—this issue of climate change. "Organic matter frozen in Arctic soils since before civilization began is now melting, allowing it to decay into greenhouse gases that will cause further warming, the scientists said. 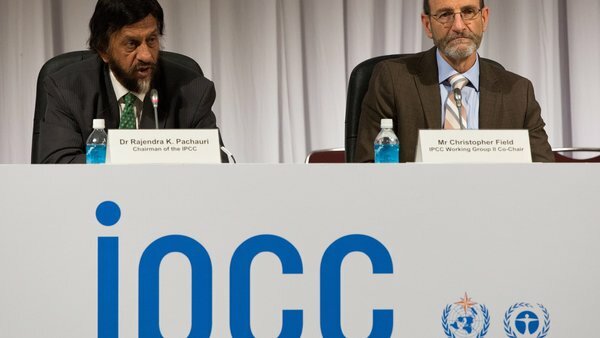 And the worst is yet to come, the scientists said in the second of three reports that are expected to carry considerable weight next year as nations try to agree on a new global climate treaty." The Walton Foundation has such a powerful influence on public education as it profits from taxpayer dollars. 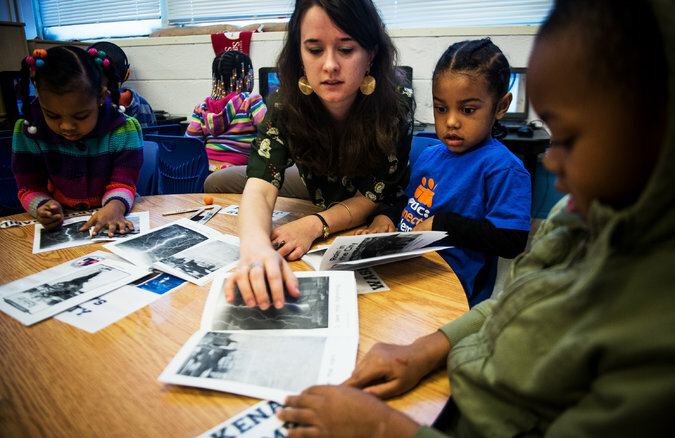 WASHINGTON — DC Prep operates four charter schools here with 1,200 students in preschool through eighth grade. The schools, whose students are mostly poor and black, are among the highest performing in Washington. Last year, DC Prep’s flagship middle school earned the best test scores among local charter schools, far outperforming the average of the city’s traditional neighborhood schools as well. Another, less trumpeted, distinction for DC Prep is the extent to which it — as well as many other charter schools in the city — relies on the Walton Family Foundation, a philanthropic group governed by the family that founded Walmart. In effect, Walton has subsidized an entire charter school system in the nation’s capital, helping to fuel enrollment growth so that close to half of all public school students in the city now attend charters, which receive taxpayer dollars but are privately operated. Walton’s investments here are a microcosm of its spending across the country. The foundation has awarded more than $1 billion in grants nationally to educational efforts since 2000, making it one of the largest private contributors to education in the country. It is one of a handful of foundations with strong interests in education, including those belonging to Bill and Melinda Gates of Microsoft; Eli Broad, a Los Angeles insurance billionaire; and Susan and Michael Dell, who made their money in computers. The groups have many overlapping interests, but analysts often describe Walton as following a distinct ideological path. The supporters and critics of charter schools, many of them fierce, cannot be easily divided into political camps. Supporters include both Republicans and Democrats, although critics tend to come more from the left. In Washington, where the charter system has strong backing in City Hall, supporters have been more successful than in New York, where opposition from teachers unions and others has kept charter school enrollment to about 6 percent, despite growth in the past decade. “The influence of philanthropy in terms of the bang for the buck they get is just really kind of shocking,” said Jack Schneider, an assistant professor of education at the College of the Holy Cross in Worcester, Mass. A separate Walton foundation that supports higher education bankrolls an academic department at the University of Arkansas in which faculty, several of whom were recruited from conservative think tanks, conduct research on charter schools, voucher programs and other policies the foundation supports. Last year, the Walton Family Foundation gave $478,380 to a fund affiliated with the Chicago public schools to help officials conduct community meetings to discuss their plan to close more than 50 schools at a time when charters were expanding in the city. And Walton played a role in a recent battle in New York, giving a grant to a charter advocacy group that helped pay for advertisements attacking Mayor Bill de Blasio after he denied public space to three schools run by Success Academy Charter Schools, a network in which students have gotten high scores on standardized tests. While charter schools and vouchers may benefit those families that attend these schools, there may be unintended effects on the broader public school system. Grant recipients say Walton injects entrepreneurial energy into public education and helps groups eager to try new ideas move more quickly than they could if they relied solely on publicly managed bureaucracies. Thousands of children, they say, attend better schools because of options Walton supports. “The supply of new models and new ideas is really important, and so I think it’s a very positive thing,” said Robert C. Pianta, dean of the Curry School of Education at the University of Virginia, of the Walton investments. Neither Dr. Pianta nor the Curry School have received funding from Walton. Critics say that Walton backs schools and measures that take public dollars — and, some say, the most motivated families — away from the existing public schools, effectively creating a two-tier educational system that could hurt the students most in need. Although Walmart opened its first two stores in the nation’s capital just last December after a protracted battle over the retailer’s wages, the Walton Family Foundation has played a role in steering the direction of public education in the city for more than a decade. Since 2000, the foundation has invested more than $80 million here, not only in charter schools but also in support of taxpayer-funded vouchers for students to attend private schools. It poured millions into a controversial overhaul of tenure, the implementation of stricter teacher evaluation systems and the introduction of performance pay in the district’s public schools. Walton also supports measures that labor leaders say undermine union protections for teachers. Like-minded Walton recipients are working together in many cases, so there are few dissenting voices. In addition to the foundation’s activities, many individual members of the Walton family have made millions of dollars in campaign donations to candidates for local school boards and state legislatures who support causes funded by the foundation. “What they’re doing in terms of education is they’re trying to create an alternative system and destabilize what has been the anchor of American democracy,” said Randi Weingarten, president of the American Federation of Teachers, the country’s second-largest teachers union. Walton supporters say the foundation is not blindly supporting the expansion of charters. Two years ago, Walton announced a $5.2 million grant to the National Association of Charter School Authorizers to support an initiative under which the group would push state and local regulators to close about 900 low-performing charter schools around the country, while opening another 2,000. “Any foundation that invests the money has to ask themselves, is their money impacting the system as a whole?” said Dennis Van Roeckel, president of the National Education Association, the country’s largest teachers union. In Washington, for example, the group has given more than $5.8 million to the District of Columbia Public Charter School Board, whose members are nominated by the mayor to regulate the opening and closing of charter schools. The board has used Walton’s grants to help develop accountability measures for all charter schools in the city. When critics complained that charters were pushing out difficult students, the board began reviewing and publishing data on expulsions and midyear departures. Scott Pearson, executive director of the board, said charter schools in the city had halved expulsions since the board began releasing statistics. Walton has become a go-to source for many charter schools seeking start-up grants. In addition to funding large networks like KIPP, which is expanding in Washington, the foundation has given grants to several stand-alone schools. The Richard Wright Public Charter School for Journalism and Media Arts, housed in a building across the street from the Washington Navy Yard in the southeast part of the city, received $250,000 from Walton in 2011. The school used the money to buy computers for students, as well as chemistry lab equipment and recording gear for the school’s media studio. All of the school’s students qualify for federally subsidized free or reduced price lunches. According to Marco Clark, the founder and head of the school, one in five students have special needs and one in 10 have been involved with the criminal justice system. On a recent morning, the range of academic abilities in the school was apparent. In an advanced placement world history class, 11th-graders gave rapid-fire answers to questions about Native American tribes, with the teacher asking “Why?” to gauge whether students were merely regurgitating memorized facts. Upstairs, in an eighth-grade reading class, several students asked the teacher for help in understanding a passage about the world’s largest harp. One boy struggled to eke out what he thought was the main point. “It about how can orchastra works,” he wrote. Several students noted that they had come from schools in which they either did not feel safe or were not learning much. Dr. Clark acknowledged that the school was still working to raise test scores, and had added extra math and reading classes. Some parents said they felt torn between the interests of their children and those of the city. Marcus Robinson, the owner of a pet supply and grooming business, said he had attended public schools in Washington and wanted his children to do the same. But his daughters Lourdes, 8, and Maja, 6, attend Mundo Verde Bilingual Public Charter School, a start-up that received $250,000 from Walton. Mr. Robinson was concerned that the schools in his northeastern neighborhood had trouble coping with students who had behavioral problems. He also liked the dual language approach at Mundo Verde, where students work in small classes on projects related to the environment and sustainability. A relaxed atmosphere permeates the classrooms, and a yoga teacher and nutritionist are on the faculty. More evidence that points to how our large systems of testing in many of our states structure out the public voice and as a consequence, compromise democracy. Indeed, these systems are tantamount to weapons of mass distraction. introduce undesirable changes into schools. Great commentary by Bruce Baker can be found here in his blog post titled, "Arne-Ology & the Bad Incentives of Evaluating Teacher Prep with Student Outcome Data." Yes, this is a terrible idea. The Obama administration on Friday will announce plans to develop ratings of teacher preparation programs to try to make them more accountable for their graduates’ future performance in the classroom. Teachers have long complained that training programs often do not adequately prepare candidates for the challenges of teaching children with varying needs and abilities. 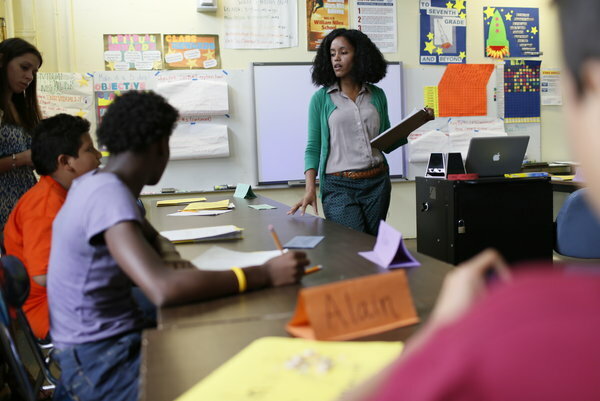 Prospective teachers, in turn, have no common way of evaluating the quality of thousands of programs across the country, whether they are in colleges of education or based in alternative groups like Teach for America. Arne Duncan, the education secretary, said he often speaks with teachers about how they trained for the job. “I ask teachers, were they prepared when they entered into that school, or entered the profession, and there’s often a fair amount of nervous laughter,” Mr. Duncan said in a conference call with reporters. Two years ago, the administration tried to come up with a proposal for rating teacher training programs, but the committee convened to develop the rules could not agree and the proposal stalled. David M. Steiner, the dean of the School of Education at Hunter College in New York, who served on the rulemaking committee in 2012, said he hoped the administration would be more successful this time. New book out on Bilingual Education by one of our most beloved, important early bilingual education leaders in the Mexican American Community, Angel Noe Gonzalez. He is a treasure, indeed. Look forward to reading this book. This book was born as a result of my decision to donate all of my collection of materials that I have accumulated over the last forty-three years to the University of Texas – Pan American. While collecting all the materials I realized that I needed to bring all of this collection of materials and joint experience of numerous bilingual education advocates and practitioners into focus for use by all those who will follow in the bilingual education arena. So now we have a book which provides credible information and facts. It is my belief that everyone is committed to ensuring that all students are entitled to equality and opportunity to LEARN, regardless of the language they bring to school. Chapter I opens with historic evidence that a superintendent of schools in Mercedes, Texas knew in 1937 that the problem existed, moved to a position of power in the state education agency, and did nothing to solve the problem. Soon thereafter, a group convened in Tucson, Arizona, and organized a symposium with the support of Senator Ralph W. Yarborough (D) Texas, the National Education Association (NEA), several United States Senators, and many educators and community advocates. National hearings were held with proposed legislation styled as Senate Bill 428 as the focus of the hearings. These hearings gave impetus to the passage of The Bilingual Education Act which was signed into law on January 2, 1968 by President Lyndon B. Johnson (D), Texas. Court cases and respective decrees followed the passage of the Bilingual Education Act. These cases and their impact on bilingual education are reviewed in the book. Federal legislation and mandates are reviewed in detail, as well as one of the most comprehensive state policies promulgated as Chapter 89 BB in Texas by the State Board of Education..
A partial listing of some important “Research Findings”, from such researchers as, Cummins, Tucker, Collier and Thomas, Hakuta, Krashen and many others also is provided in this book. Chapter VII focuses on: A Case Study of Advocacy, the design and findings of the Texas Successful Schools Study which documented the effectiveness of bilingual education programs; the Houston ISD Immersion Study and the Houston ISD Model Bilingual Program. In Chapter VIII some Bilingual and ESL models are given focus as advocated by James Crawford. One of the most interesting topics covered in the book is related to the Office of Inspector General’s audits, which prompted an Oversight Congressional Hearing on Bilingual Education in Washington D. C. of suspect federal audits conducted by the Office of Inspector General (OIG) on six Texas Title VII Bilingual Education programs. The targeted grantees in Texas audited by the OIG with an obvious political agenda included: Austin ISD, San Antonio ISD, Edgewood ISD, Pharr-San Juan-Alamo ISD, Dallas ISD, and Region One Education Service Center. The Department of Education OIG was demanding federal grant refunds in the amount of $5.8 million. Upon conclusion of the hearing, and based on challenging testimony by representatives of the grantees and the Texas Congressional Delegation, the Congressional Oversight Committee ruled in favor of the Texas Title VII grantees that refunded $0.0! 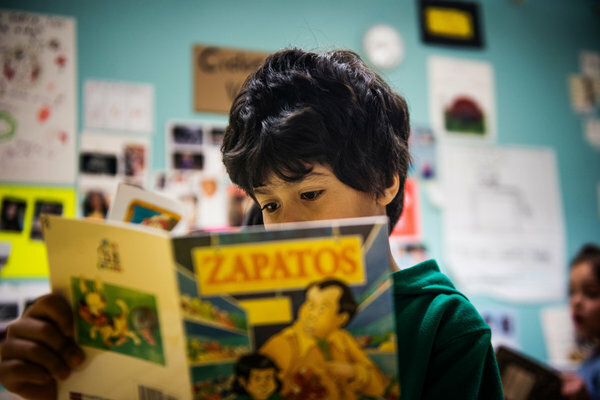 Also included in this publication are the “Twenty-two Recommendations” made by the then Superintendent of Schools, Angel Noé González and presented to the Crystal City School Board in 1973, in response to student demands for Bilingual Education. Recommendation number twenty-two advocated for equal prestige to the Spanish language as a medium of instruction, identical to the English language.. The school board adopted the recommendation as district policy. 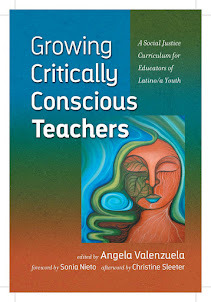 The book is written to profile the evolution of bilingual education. While many problems bilingual education faced have been addressed, now we must solve the biggest problem which is training and recruitment of appropriately trained certified bilingual education teachers. “Bilingual Education: Learning While Learning English” is a literary contribution like none other that has been produced to refute the myths and misconceptions about bilingual education and its effectiveness. It factually profiles the battles fought, both those won and lost, and are ongoing such as the English Only movement, the litigation brought about on behalf of non-English speaking children and their parents, and the politics utilized by misinformed opponents of bilingual education. Additionally, the book illustrates the documented evidence in state and national research that bilingual education can be effective in learning English when administered, implemented and evaluated in appropriate fashion. Guest Poby Liliana M. Garces, William C. Kidder and Gary Orfiel* Garces is an Assistant Professor of the Higher Education Program and Research Associate of the Center for Study of Higher Education at Penn State College of Education. Kidder is the Assistant Executive Vice Chancellor at UC Riverside. Orfield is the Professor of Education, Law, Political Science and Urban Planning and Co-Director of the Civil Rights Project/Proyecto Derechos Civiles at UCLA. Chief Justice Hughes famously said that a dissenting opinion is “an appeal to the brooding spirit of the law, to the intelligence of a future day, when a later decision may possibly correct the error into which the dissenting judge believes the court to have been betrayed.” Dred Scott, the Civil Rights Cases, Plessy, Korematsu—In these and other landmark race-related cases, dissenting Justices spoke eloquently to “the intelligence of a future day” in laying bare the errors in the holding and reasoning of the Court’s majority opinions. We deeply regret the decision by the Supreme Court upholding Michigan’s ban on race-sensitive admissions as constitutional and overturning the Sixth Circuit’s en banc ruling that the referendum violated the federal constitutional guarantee of equal protection. On the heels of recent voting rights and campaign finance decisions—decisions that not only create enormous barriers but further weaken minority political power and increases the power of money—the Schuette ruling exemplifies how legal decisions can ignore the stark realities of our nation and the deep racial inequalities that continue to exist in America. The reality in Michigan is that 64 percent of whites but only 14 percent of African-Americans (Michigan’s largest minority group) voted in favor of Proposal 2 in that state. And our research at the Civil Rights Project shows myriad educational inequalities in Michigan that corroborate Justice Sotomayor’s observation about the “simple truth that race does matter.” Michigan K-12 schools are some of the most racially segregated in the nation: over half (53 percent) of African-Americans in Michigan attend schools where less than ten percent of the student body is white. And contrary to Justice Roberts’ facile notion that race-conscious programs “do more harm than good,” Michigan’s ban on these policies caused the proportion of African-Americans graduating from the University of Michigan Law School to drop below three percent, the lowest percentage at the School since 1969. With race-sensitive admissions policies, the University of Michigan at Ann Arbor graduated more African-American freshmen—and at a higher graduation rate, no less—than the combined total for UC Berkeley, UCLA and UC San Diego with bans on such policies. As Justice Sotomayor correctly notes, for African-Americans, bachelor’s degrees, Master’s degrees, doctoral degrees and professional school degrees have all declined precipitously at the University of Michigan in the wake of the ban. Institutions of higher education in Michigan wishing to address the ways in which race continues to matter in shaping students’ educational opportunities now face an enormous barrier forbidding them to do what they have concluded to be necessary for educational and social reasons—to overcome racial barriers and take actions that enrich their classes and their ability to adequately prepare the future leaders of the state and the nation. This decision hobbles institutions seeking diversity in the few states with bans similar to Michigan’s. As Justice Sotomayor stated, the Schuette ruling “drains the Fourteenth Amendment of one of its core teachings” that protecting the right to meaningful political participation “must mean vigilantly policing the politi­cal process to ensure that the majority does not use other methods to prevent minority groups from partaking in that process on equal footing.” It is extremely difficult for relatively powerless minority communities to have the financial and other resources needed to make a serious effort to amend a state constitution. The Supreme Court had recognized that creating such an insurmountable barrier to considering positive civil rights policies violated principles of equal protection. There were very important precedents including one striking down the California proposition which would have prohibited fair housing laws and another overturning a proposition which would have prevented school desegregation in Washington State. Schuette is another in a series by the current Supreme Court that are pushing the nation backward in terms of racial equity and interpreting away key civil rights precedents. In California, the decision means that the state's ban on race-sensitive admissions, which has so negatively affected public universities, will stand until and unless supporters of diversity and equal opportunity in higher education can marshal the resources to reverse Proposition 209. This is a particularly urgent issue, of course, for one of our campuses (UCLA) had the largest number of applicants of any in the nation this year and is struggling against the odds created by proposition 209 to create the kind of diversity that helps students and future leaders of our state prepare to live and work and govern in a state where the substantial majority of students who are Latino, African-American and American Indian have too little access. As individuals and as a society, we must remain committed to advancing diversity and equal opportunity in higher education and to support institutions of higher education that implement constitutionally permissible race-conscious admission policies to reduce inequality and enhance the prospects for degree attainment and future leadership contributions. To do so is to confront openly, rather than wish away, underlying inequalities and thereby help to secure a brighter and fairer future for entire communities and for American society. The testing resistance movement is growing rapidly around the country and parents are opting out their children from high-stakes standardized tests in most states. What do test reformers want to accomplish? Monty Neill, executive director of FairTest, explains in this post. FairTest, or the National Center for Fair and Open Testing, is dedicated to eliminating the abuse and misuse of standardized tests. This spring, the testing resistance movement has exploded across the nation. It will continue to grow as the testing season heads into the final stretch. How can assessment reformers marshal this energy and use it to accomplish positive change? Protest activities around the country reinforce the three core demands of Testing Resistance and Reform Spring: test less, end high stakes, and implement multiple forms of performance-based assessment of student learning. * There is too much testing. It crowds out other subjects, even recess, depriving children of an engaging, well-rounded curriculum. * The tests are not useful to teachers, parents or students because they don’t assess important areas of learning, questions and answers are secret, and scores are not returned in a timely manner. * Parents, teachers and students object to spending millions of dollars on testing and computer infrastructure for online testing while schools suffer increased class size and cuts to arts, sports, and other engaging activities. * As a result of stress and anxiety, students are crying, vomiting and soiling themselves during standardized exams. Children fear that if they fail, their teachers will suffer. Some justifiably worry they will be denied promotion to the next grade or graduation. * Computer systems around the country are crashing during test administration, often compounding the stress, especially for students less familiar with technology. 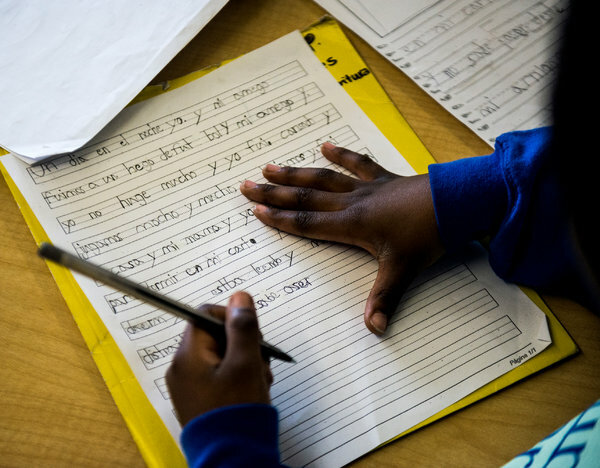 * The tests are unfair, particularly to students whose first language is not English and to students with disabilities, as well as students who attended ill-funded schools in low-income communities. * Parents dislike the use of student test results to judge teachers. They know that federal mandates to evaluate teachers based on student scores produce inaccurate ratings, a huge increase in testing, and more teaching to the test. * The exams are too long and full of errors: unclear questions, obscure reading passages, math problems embedded in confusing language, more than one right answer – or no right answer. * Parents object to huge, profit-making companies using their children as unpaid “guinea pigs” to try out questions for the PARCC and SBAC Common Core tests. Most resisters say they don’t oppose all standardized testing. They want it cut way back and the stakes dramatically lowered. Many say that evaluation should be in the hands of teachers, not states and testing companies. They point to real work kids do in classrooms as the best evidence of student learning. In some states, thousands of students and parents are opting out. Elsewhere, organizing drives are just getting started. Activists across the country understand this will be a multi-year effort. In addition to expanding the movement, there are two other critical issues to address. One is to continue strengthening alliances across boundaries of class and race. To win, assessments reformers must build a broad, diverse movement with political muscle. In several communities, urban students across the nation have taken the lead by walking out of test sessions. Hundreds of parents of color in low-income New York City boroughs of Harlem and Brooklyn recently publicized their opt out actions. They know that test overkill most damages schools serving low-income, minority and second language students, and that authorities are using test scores to justify closing schools, with resulting disruption of community life. Parent, teacher and student activists at the recent United Opt Out conference in Denverplanned concrete steps to diversify the movement. For example, students working to build the Colorado Student Union are organizing meetings with both urban and suburban peers. Our nation has historically failed the often-segregated schools attended by students of color. Thus, parents and communities demand accountability from schools and systems. Unfortunately, too few people know there are far better ways to provide information about schools than focusing on test results. Test reformers must develop and promote high quality assessment and evaluation that responds to the needs of all communities. * Districts must sharply reduce the number of standardized exams they require on top of federal and state mandates (e.g., “benchmark” tests). They should also end high stakes uses of exams for purposes such as grade promotion. * States must eliminate testing requirements that are not federally mandated and drop high school graduation exams. * Federal law should reduce required statewide assessments to once each in elementary, middle and high school, as recently introduced legislation will do. It should allow states to use sampling rather than test every child. Test scores must not be the basis for punitive actions against schools; genuine assistance must replace punishment. * The federal government also must end its requirement that states evaluate teachers “in significant part” on student scores in order to receive waivers to NCLB. Since students deserve high-quality assessments that enhance learning, districts and states need to work with teachers to overhaul assessment. To know how well students are learning, the best evidence comes from reviewing their ongoing school work. This will also ensure the use of multiple measures. For those concerned about a lack of objectivity or comparability, there are effective ways to validate teachers’ judgments. Limited use of standardized testing can act as an additional check on the system, as can school quality reviews. Without such structural changes, schools will remain vulnerable to an inevitable counter-attack from profiteering corporations and testing zealots. Winning these changes will take political clout. As the resistance grows, we must find ways to turn anger and mobilization into concrete changes. Activists have employed various tactics toward that end. These include forums with elected officials (or empty chairs if they refuse to participate), working with legislators to draft bills, rallies and lobby days at state capitols where the public meets with their elected representatives, and letters-to-the-editor that identify policymakers who are blocking assessment reform. Building alliances across communities is essential. Texas parents and their allies persuaded the legislature to eliminate two-thirds of the state’s graduation exams through careful “inside” (legislative meetings and lobbying) and “outside” (rallies and grassroots mobilization) strategies. Authorities also may promote “solutions” that benefit more privileged communities, thus re-dividing people by race and class. Examples include proposals to allow high-scoring districts to test less or to design alternative accountability systems, even though it is low-income schools and districts that most need these options. Reformers should welcome sound changes to assessment and accountability systems but insist they include all communities. By rejecting schemes to divide us, the testing resistance and reform movement can grow stronger and win fundamental changes. The resistance movement has grown from modest roots to a flowering movement with increasing power and sophistication. That is a fantastic start for winning long-term victories.